>br>He put great effort into rendering in his paintings the attitudes of the common people, as he had always been fond of the workers and the peasants. They are the characters who fill his paintings of Rolleboise, in which we see peasants by the Seine. 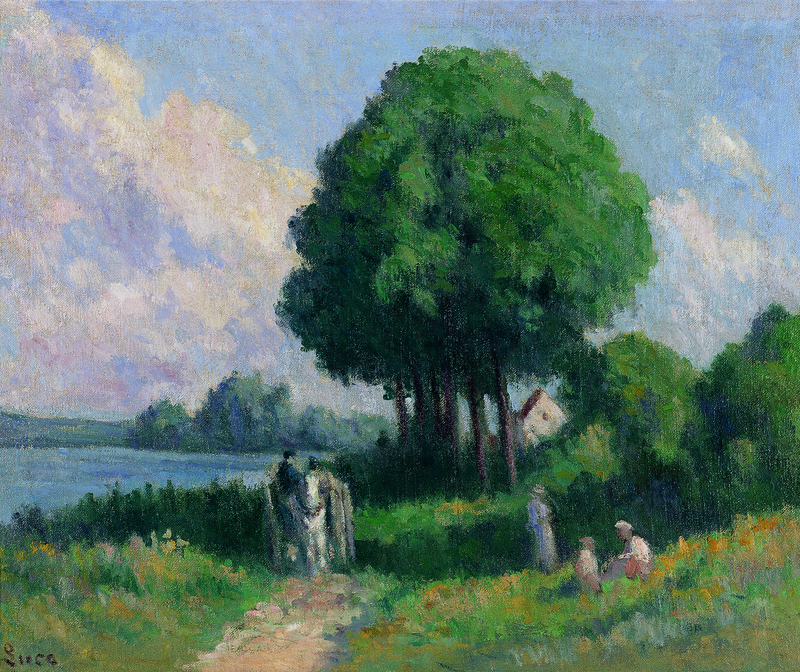 Such is the case of The Entrance of the Village, dated in 1930, in which a carter takes the carriage back to the farm, while a countryman, whose outline conveys at the same time movement and calmness, walks towards the Seine; two figures are resting by the water, emphasising the impression of restraint and tranquility of the whole scene.